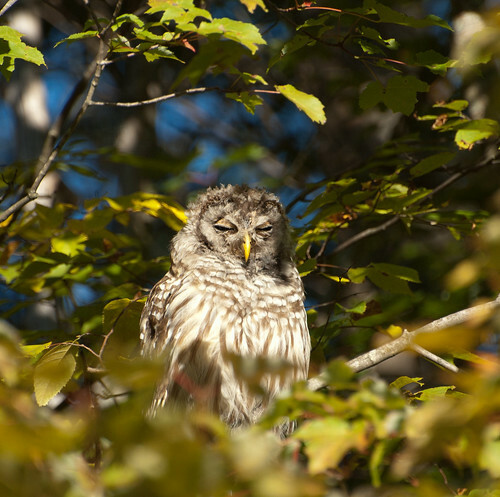 Barred owls are found in forests throughout the eastern U.S. 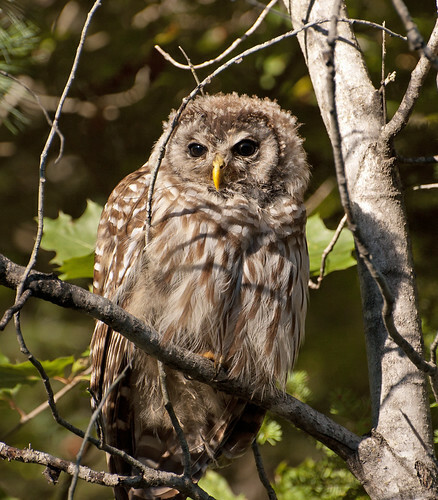 They have begun to move into the Pacific Northwest where they are putting pressure on the already beleaguered spotted owl. 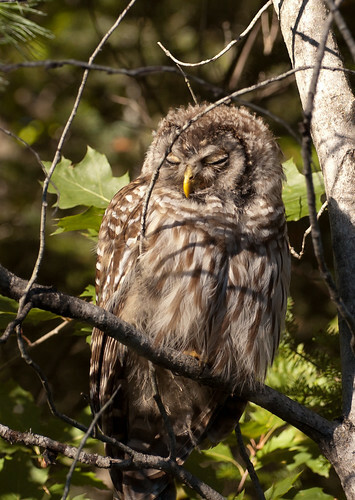 Barred owls are non-migratory and are thought to have a fairly small territory (few miles). 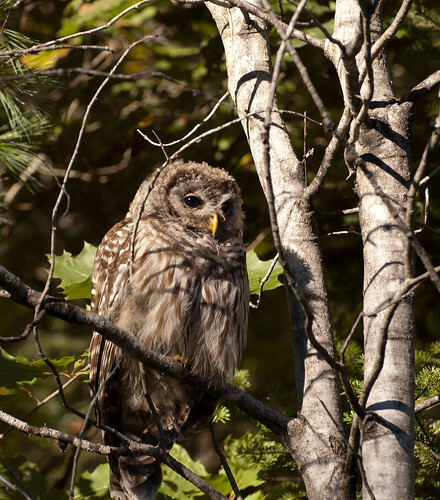 Though the barred owl’s hoot is often described as sounding like “who cooks for you”, to me it sounds more like a barking dog. They are widespread throughout the northeast and we enjoyed listening to them while camping atop Pennsylvania’s Grand Canyon and in the Adirondacks. Impressive beak. 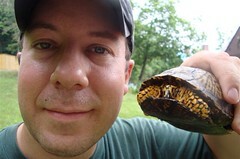 Main food sources include small mammals like mice and voles, and smaller birds. This entry was posted on 3 October 2013 by patacoate. 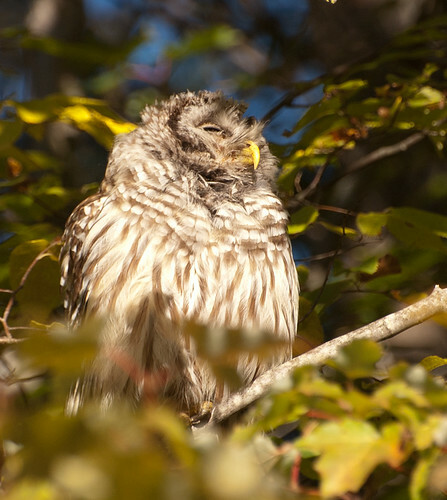 It was filed under iPhone and was tagged with Barred Owl.